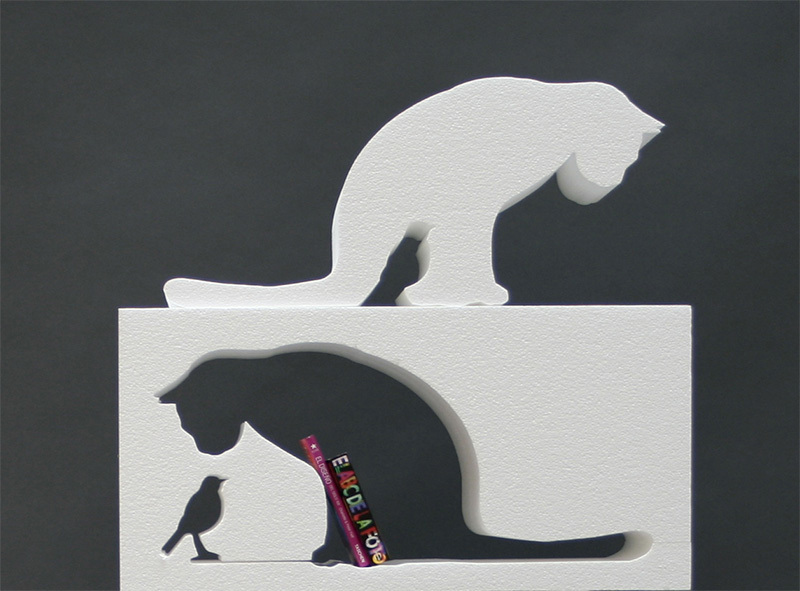 If It's Hip, It's Here (Archives): Fill In The Cat. 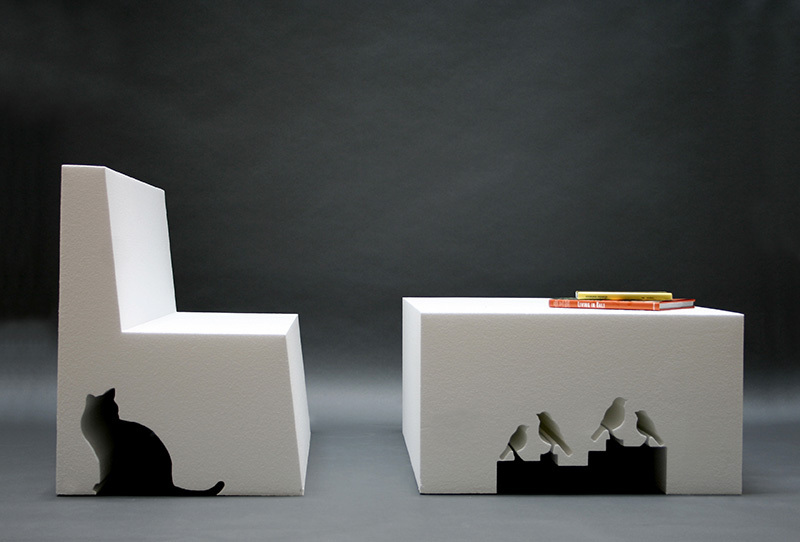 Negative Space Furnishings from NEL. Fill In The Cat. 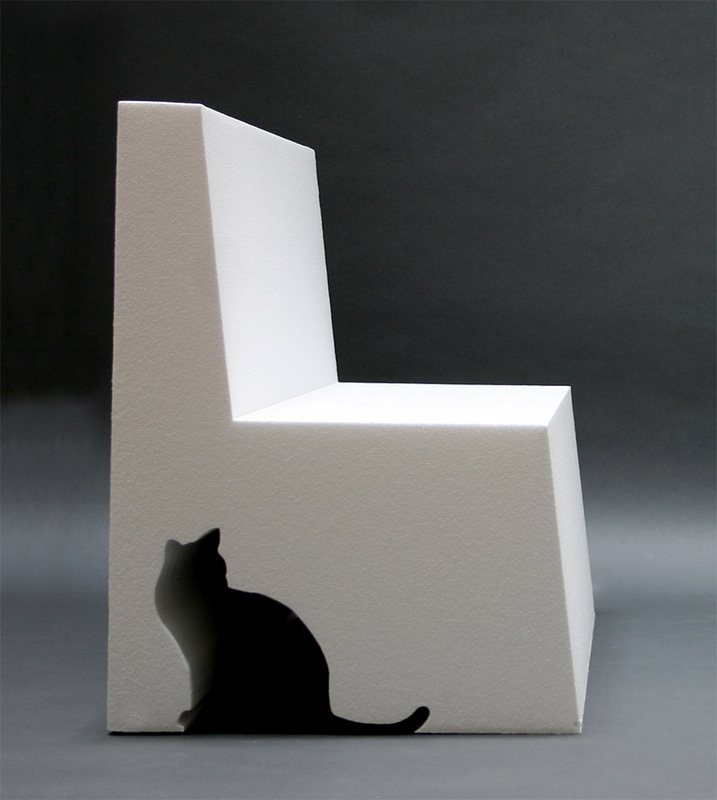 Negative Space Furnishings from NEL. 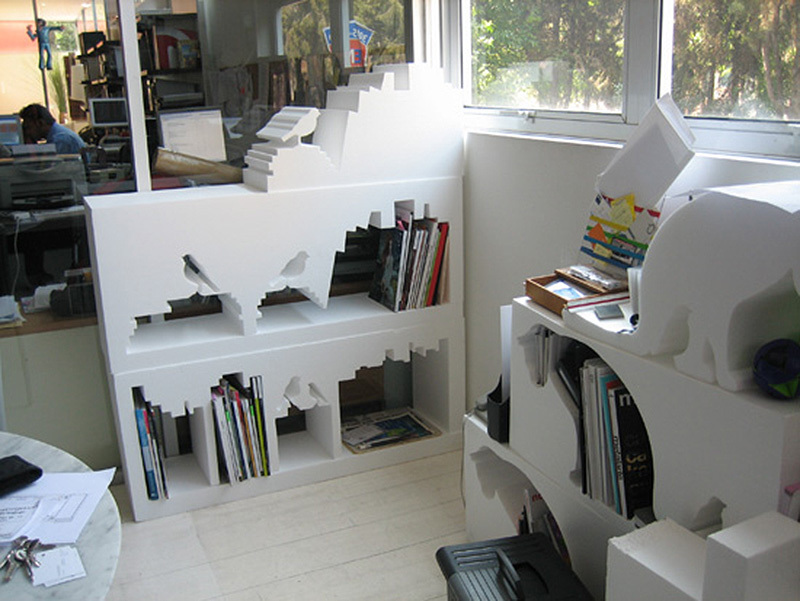 I'd already posted about their dog-like furniture (Pack of Dogs teak shelves) when I spotted this project by NEL, the collective of Mexican designers. 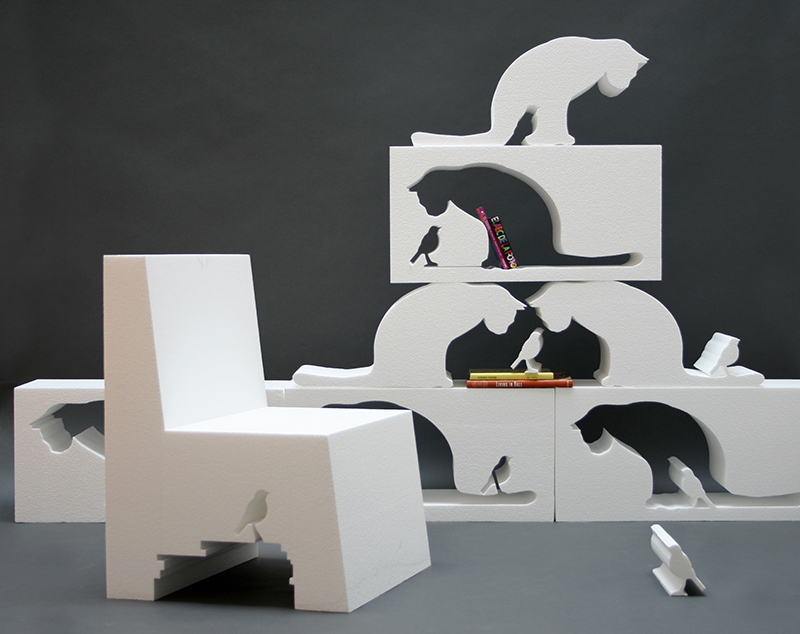 A study in negative space, Fill In The Cat consists of chairs, shelves and ottomans from which three characters have been removed from large white blocks. 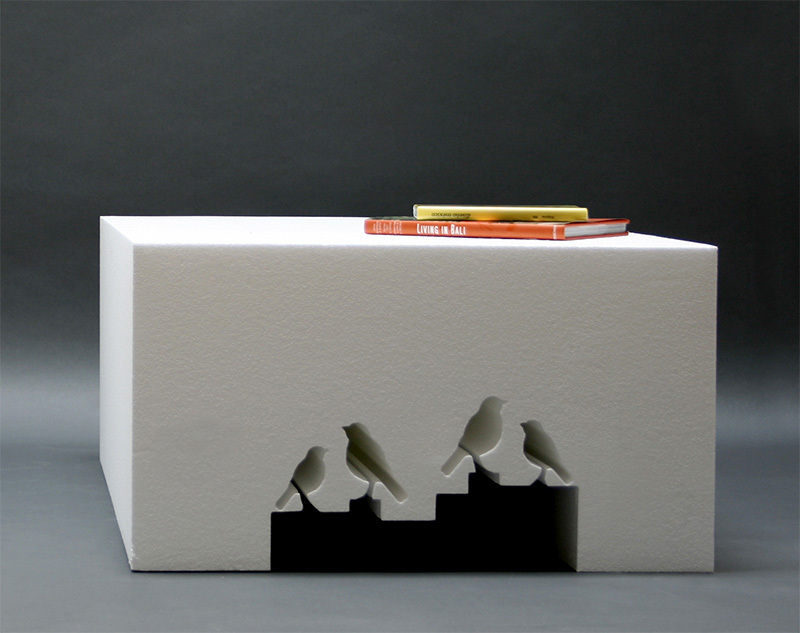 NEL is a platform for experimentation formed by an evolving collective of Mexican designers. 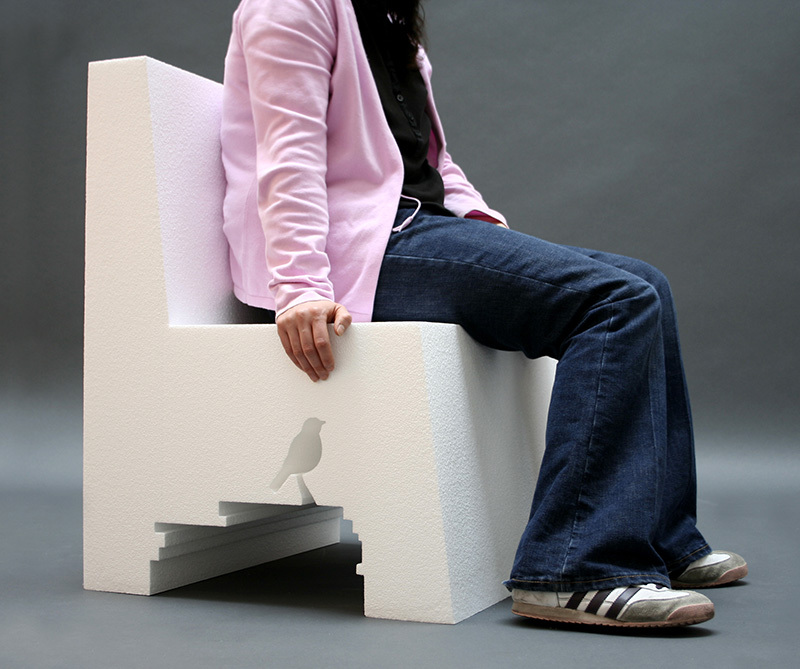 The collective, founded in 2004, serves as a channel tocreate and exhibit projects that focus on the conceptual and playful side of design. The organic nature of the collective allows for an ever changing pool of designers, which in turn generates a wide variety of projects that range from political statements to playful storytelling or aesthetic explorations. The members of NEL are Ricardo Casas (1979), Alejandro Castro (1983), Héctor Esrawe (1968), Emiliano Godoy (1974) and Cecilia León de la Barra (1975).